My project is at the intersection of photography, philosophy and psychology, and it investigates the role of visual memories in constructing and reconstructing important aspects of our self in terms of our personal history. Some of our visual memories are shaped merely by the frequency and amount of exposure to scenes around us. We remember the visual characteristics of scenes and objects because we see them on many occasions and/or for a long time. Other visual memories are fixed by the importance of certain events in our lives, as these events are associated with certain places and objects. There are also nostalgic memories of places and objects that had gone almost unnoticed when being part of our daily routine, but gained significance as we lost connection with that place for an extended period of time. My visual approach to this complex phenomenon is based on the creation of images of real and fictitious visual memories. Some scenes and images are connected to my own personal history, while others are part of several imagined (alternative) lives that I have never actually had. My imaginary lives and personal histories are constructed in scenes and among objects I encounter for only a brief period. I work with these “found” scenes and objects without being involved, emotionally or otherwise; apart from my interest in transforming them into components of the images of visual memories that relate to one of my imaginary lives, I have no attachment to them. The project will tackle two theoretical (philosophical and psychological) issues as well. First, I systematically study the connection between visual memories and the construction of personal histories, as well as the role of personal histories in the (ongoing) construction and reconstruction of the self. Second, the photographic work is also informed by a theory of photographic illocutionary acts I am currently developing. In my project I investigated the role of visual memories in constructing and reconstructing important aspects of our self in terms of our personal history. The primary focus of the project was to create a body of photographic work. The description of the developed photographic series: Visual memories constitute a significant aspect of our respective personal histories, and as such they play a key role in constructing and continuously reconstructing one's ever-changing self. Our deepest, most intimately safeguarded memories are unforgettable and inerasable, and yet are characterised by an almost filmic distancing and fading away, in which details become rough, blurry, and insignificant. In the images of this series, real and imagined fictitious visual memories are mingled, constructing a new self from both real imprints of my own life and possible memories of imagined lives. Some of the scenes and images are connected with my own personal history, while others are the visual memories of numerous imagined, alternative possible lives that I have never led. The images of my possible lives are created at scenes and among objects that I have encountered for only a brief period of time. Reality and imagination meet and connect in these images, quasi-multiplying my imaginary lives and filling them with content. 20 images of the developed series (of 50 photographs) were exhibited in Kemence Gallery (Zsolnay Cultural Centre) Pécs, Hungary under the title Memories burnt into the retina. The exhibition opened on May 31, 2018 and it was open until July 31, 2018. The photographic work was based on and connected to the theoretical (philosophical) investigation on my developing theory of photographic illocutionary acts and my work on the fictional use of photographic images in connection with the role of visual memories in constructing our personal histories. I have worked on three philosophical papers in connection with these issues. The tile of the first paper (in connection with the fictional uses of photographs) is How to Shoot a Unicorn: Epistemic Access and Interpretation of Fiction in Photography. Versions of this paper were presented at the XIIth Workshop on Aesthetic Experience: Fiction and Knowledge, ARESMUR, Universidad de Murcia, Murcia, Spain, December 4, 2017, and at the Joint Session of The Aristotelian Society and the Mind Association, Oxford University, Oxford, UK, July 8, 2018. The paper has also been accepted for presentation at the 2019 Meeting of the American Philosophical Association, Eastern Division, New York, NY, USA, January 7-10, 2019. I plan to complete a version for publication during the fall of 2018. The tile of the second paper (in connection with my developing theory of photographic illocutionary acts) is Photographic Manipulation and Photographic Deception. This paper has been accepted for publication for the upcoming issue on the aesthetics of photography by the journal Aisthesis (http://www.fupress.net/index.php/aisthesis). The third paper has the working title of Photographic memories. This is an in progress work, and it will be sent out for relevant conferences in the fall of 2018. I am in contact with two international galleries about the possibility of exhibiting the photography series. Zsolt was born in Budapest, Hungary. He first studied literature and linguistics at university in Hungary, and later earned his PhD in philosophy at Rutgers University, USA. He works in aesthetics and the philosophy of art, focusing on the visual arts and photography. During his doctoral studies at Rutgers he also attended a number of photography courses, and he has been developing fine art photography projects ever since. Zsolt has been teaching philosophy of art, photography and visual communication courses at various universities in the United States, Hungary and Argentina. 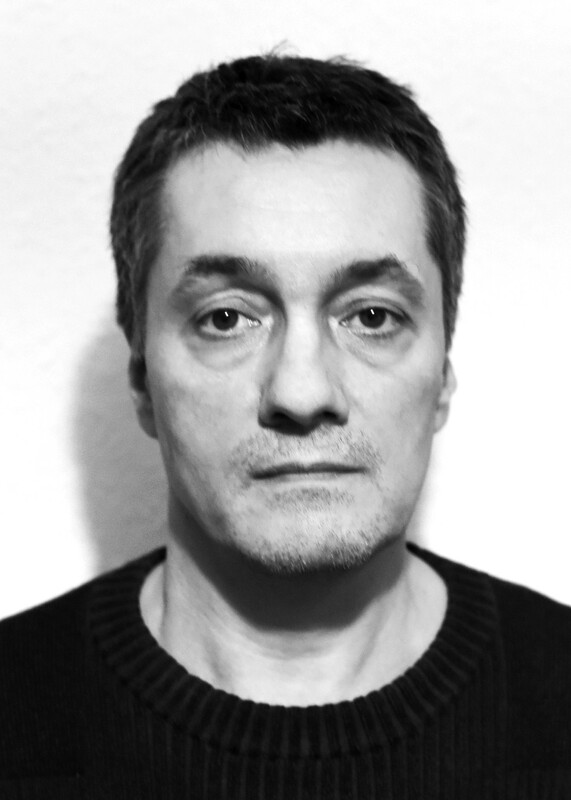 He is currently an associate professor at Budapest University of Technology and Economics and a research fellow at Moholy-Nagy University of Art and Design. His recent research is focused on the philosophical foundations of pictorial communication as well as on the processes of interpreting and evaluating photographs. Given that genre categories strongly influence interpretation and evaluation, he is also working on a systematic theory of photographic genres. Besides his philosophical work he has been regularly exhibiting internationally as a fine art photographer. He is currently a member of the Executive Committee of the European Society for Aesthetics and the International Association for Aesthetics.